Russian Helicopters’ portfolio keeps growing. 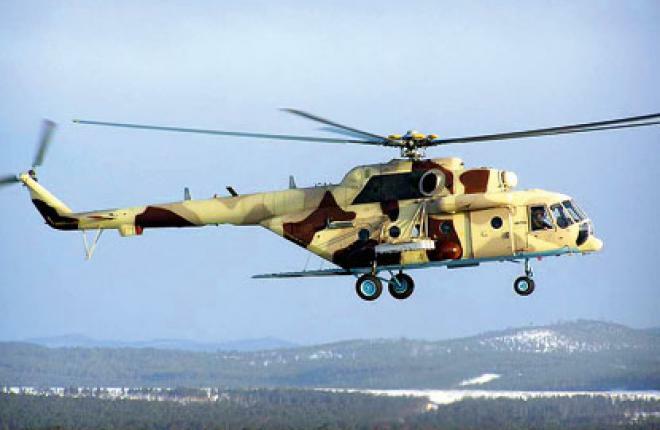 The Russian Defense Ministry in late August placed a 12.6 billion rubles ($380 million) order for 40 Mil Mi-8 AMTSh helicopters, to be built at Ulan-Ude Aviation Plant, a subsidiary of Russian Helicopters. Deputy Defense Minister Yury Borisov says deliveries will start in 2014. The Mi-8AMTSh Terminator transport/attack helicopter can be armed with the entire array of guided and unguided weaponry used by the Mil Mi-24 gunship, and performs no worse in a number of roles. The export version is designated Mi-171Sh. The Defense Ministry contract was placed as part of the federal armament procurement program through to 2020, under which the Russian military is planning to buy about 1,000 helicopters of different types. A significant portion of orders under the program have already been placed, including with Russian Helicopters. The company delivered 290 helicopters last year, up from 262 airframes in 2011.